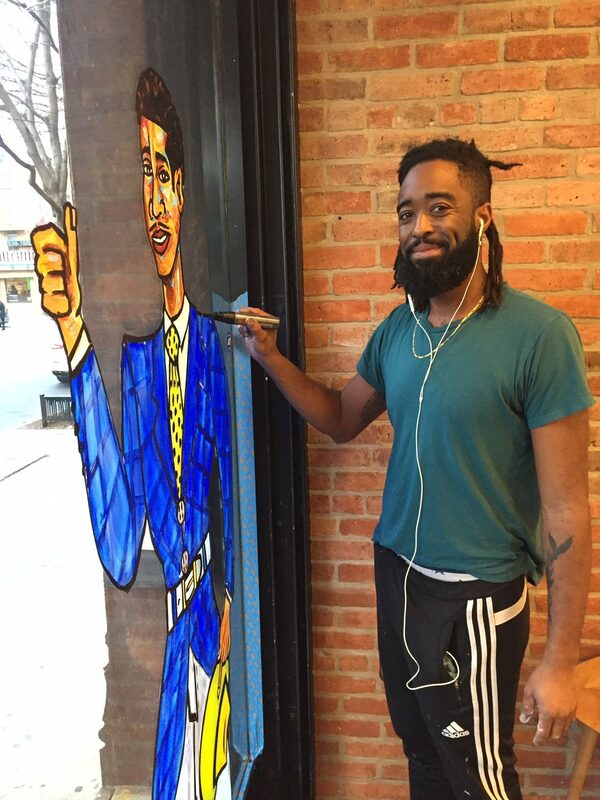 Since 2012, Black History Month has been celebrated along Myrtle Avenue’s retail area in Clinton Hill in an event called Black Artstory Month. Historically, visual artists create murals in storefront windows in the neighborhood, united around a common theme. 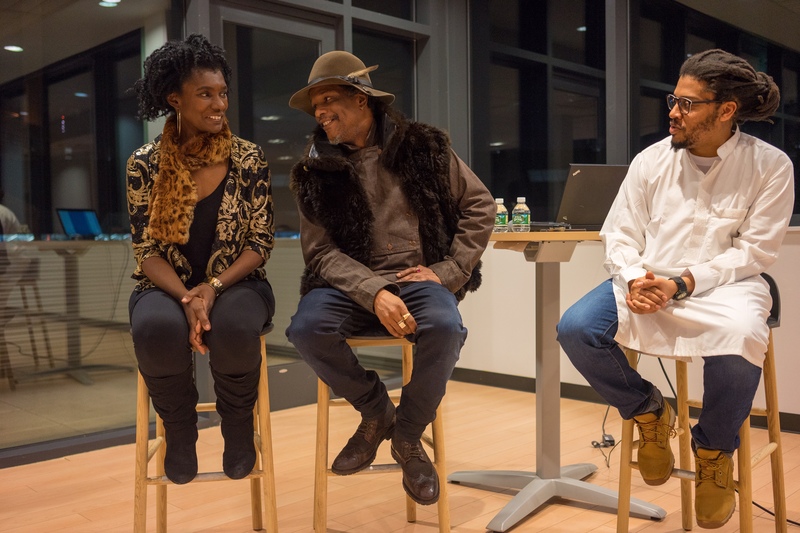 This year, however, the Myrtle Avenue Business Partnership (MABP), which organizes Black Artstory Month, has teamed up with Black Gotham Experience to also add events every Friday in February, all focusing on this year’s theme called “Front and Center/ed” – which celebrates Black fashion throughout history. By focusing on Black fashion throughout history, particularly in Brooklyn, BGX aims to discuss and display this topic by holding exhibits, panels and other events along or near Myrtle Avenue. This past Friday evening, BGX and MABP kicked-off “Front and Center/ed” at Building 92 at the Brooklyn Navy Yard with two panels. One discussed Black history in Brooklyn, while the other talked about Style. Future events, all free and open to the public, include a drink and draw at The Emerson Bar at 561 Myrtle Avenue this coming Friday, February 8th. It would feature the work of two stylists, Nana Badu who originates from Ghana, and Charles Johnson. These two stylists will present their creations on models, and participants will sketch those models. On February 15th, at Putnam’s at 416 Myrtle Avenue, there will be a visual exhibit in the restaurant’s lower level. Finally, on February 22nd at The Hall on 47 Hall Street, fashion designers will display their work while a “mixture of artists work and history” will be projected onto walls, according to a MABP press release. The partnership with BGX has allowed for a more inclusive, bigger event. But that didn’t stop MABP from deciding to do a few storefront murals anyway. 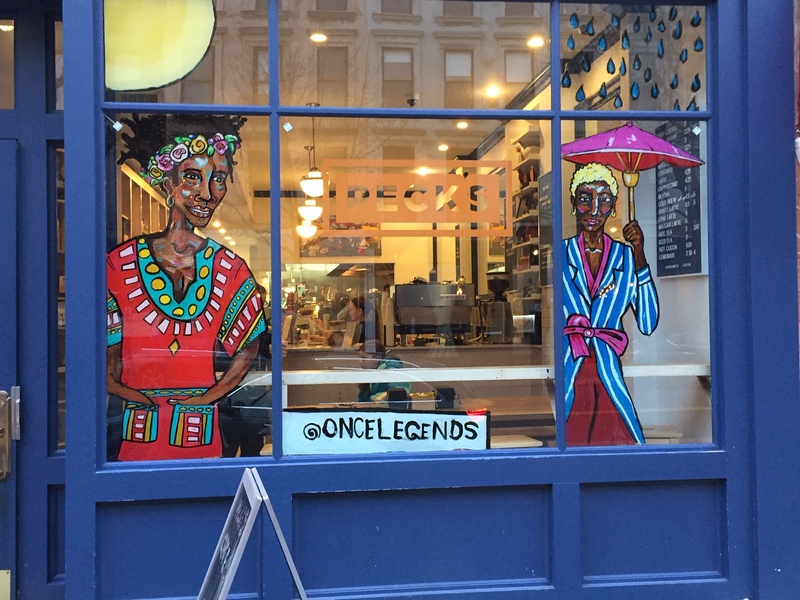 They contacted Steven Mosley, who has done murals for Black Artstory nearly every year since its inception, and he quickly created images on three storefronts along Myrtle Avenue. They are at Pecks’ food shop at 455 Myrtle, Salon 718 at 456 Myrtle, and Ray’s Barber Shop at 331 Myrtle. All images follow the theme of Front and Center/ed. According to BGX’s Ware, Black fashion has been a way to present oneself to avoid racism, as far back as the 19th century. And even though BGX will discussing all of these issues during their events for Black Artstory Month in Clinton Hill, the conversation won’t end once February ends. For one thing, the paintings and photographs that will be displayed at Putnams’ will last until March 15th. From there, they will come right outside the BGX studio near the South Street Seaport on Front Street. Also, BGX will expand these exhibitions and talks later this year to BRIC and the Brooklyn Museum. It appears that this year’s Black Artstory Month theme is the start of a centered lens on what it means to be Black in Brooklyn. A native New Yorker, Megan McGibney enjoys such topics as education, the arts and business. A 2008 graduate of the Craig Newmark Graduate School of Journalism at CUNY, she is also an adjunct lecturer at CUNY. You can reach out to her at www.meganmcgibney.com or @MeganMcGibney.